Non-magnetic drywipe white board with satin silver anodised aluminium frame. 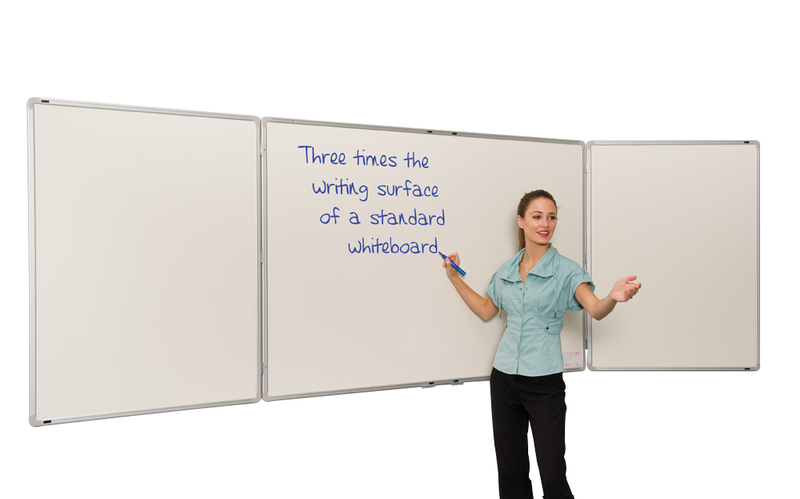 To increase writing space but save on wall space these whiteboards have fold out writing board wings. The wings have a faint 25mm grid on the outside when the wings are closed. There are 5 closed board sizes to choose from - the smaller sizes have a single fold out wing board which is the same size as the main board, the larger sizes have two fold out wing boards - sizes specified below. Wall mounted whiteboard with rounded safety corners and concealed corner fixings.